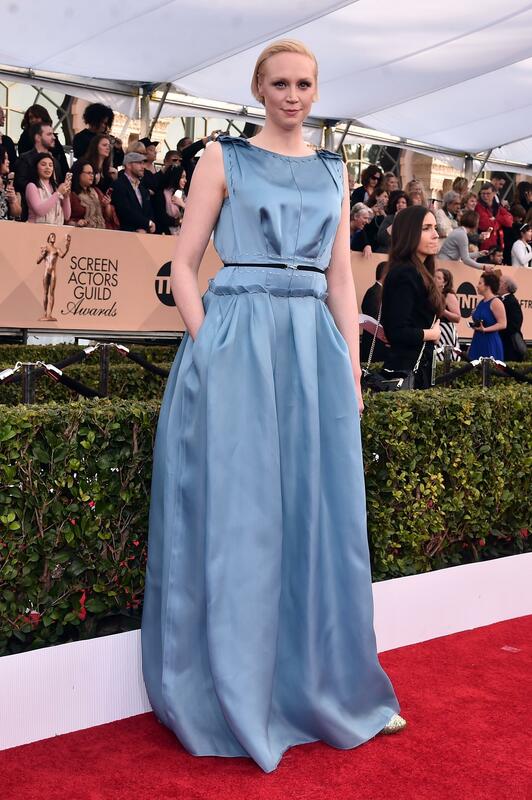 Tons of Hollywood actresses wore their best designer outfits to the 2016 Screen Actors Guild (SAG) Awards Saturday. They were there to celebrate the best actors in the industry, but they also showed off their fashion sense as they walked the red carpet outside the Shrine Auditorium in Los Angeles. They’re all great thespians, but only a few of them are fashion mavens. Check out our best and worst dressed below. The “Room” actress picked up a SAG Award for best actress in a drama, and she’ll likely also receive several best dressed awards today. The blue Atelier Versace dress fits her like a glove, and the unexpected cutout and knot details make it look unlike any other dress on the red carpet. The beading adds just the right amount of sparkle to this Zuhair Murad dress. Plus, the skinny silver belt is the perfect accessory for the “Empire” actress. The bright blue was certainly a nice change from Arya Stark’s muted tones on “Game of Thrones.” The Ermanno Scervino design was enough on its own, so Williams smartly decided to keep the accessories minimal. The “Orange is the New Black” star rocked the red carpet in this Prabal Gurung dress. It fits her wonderfully, and her gold Stuart Weitzman heels and Nathalie Trad bag compliment the dress perfectly. The “Freeheld” star wore Givenchy to the 2016 SAG Awards. The bright shade of green with all those sequins is just not a great combination. Ruffles! Sparkles! Colors! Accessories! This Gucci dress was just a bit too much on the “Grace of Monaco” actress. The unfinished look isn’t flattering on the “Star Wars” actress. Petty marched to the beat of her own drum at the SAG Awards. The “Orange is the New Black” star’s two-piece outfit doesn’t have much going right, but at least she walked away from the SAG Awards with a statue. The “OITNB” cast won best comedy ensemble. Which outfits did you love and hate at the SAG Awards? Leave your thoughts in the comments section below!